Coachella is a famous festival in Southern California that’s sprinkled with celebrities, star performers, and Instagrammable artwork. But the experience was overpriced and unorganized. Although I did have a good time overall, I don’t think I’d ever go back. 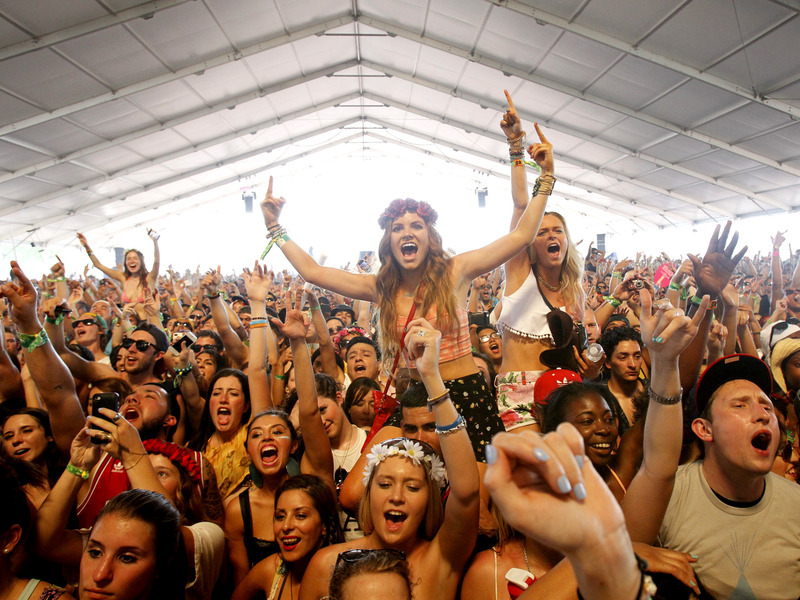 Coachella is nothing if not an experience. From the iconic ferris wheel and stunning art installations to the sheer star power and celeb-filled shows, it seems like a pop culture lover’s daydream. My experience was one I’ll never forget (for a lot of reasons), but Coachella mostly didn’t live up to my expectations. So much so that I don’t think I would go back. Don’t get me wrong. Coachella had some of the coolest stage set-ups and live performances I’ve ever seen. Beyoncé was literal perfection and absolutely shook me to my core, but outside of its stellar lineup and ethereal and sunny landscape, the experience was less than perfect. The food and alcohol weren’t good and were way too expensive. 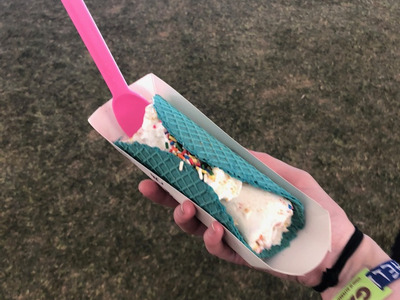 When I first saw all the food options that Coachella was going to offer, I was pretty excited. They had everything from corndogs to ramen, but almost none of it lived up to the hype. It didn’t help that a simple corndog cost $11 and $14 if you wanted a foot-long. By my estimation, that’s $1 per bite. There were only two beer offerings by the larger stages with all the big acts, and even those cost $11 a pop. Various tents on the festival grounds had different and unique drink options, but those weren’t worth the higher price point, either. My friend ordered a sangria on the first day and said it tasted like Crystal Light and basil. She never went back. You couldn’t drink alcohol outside of small designated areas. When I first learned you couldn’t take beer out onto the larger festival grounds, I felt like a kid being scolded for drinking juice on the carpet. But after I thought about it for a while, I realized they were keeping the beer-drinkers quarantined in order to keep the stage areas clean. This shouldn’t have been something we learned after we arrived, though. 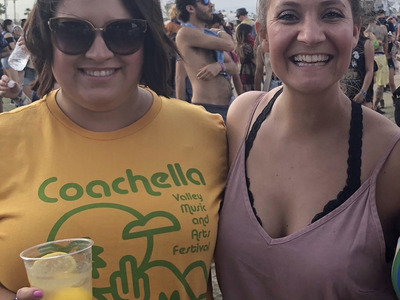 Coachella sent multiple emails hyping the food and drinks over the weekend, but nowhere did we see that alcohol would only be allowed in designated areas. The water filling stations were pitiful. Our reusable water bottles found some use over the weekend, but they certainly weren’t being used for their original purpose. On the first day of the festival, it took us nearly an hour to find the first water filling station. It was tiny, pushed to the back of the park, and was barely marked. 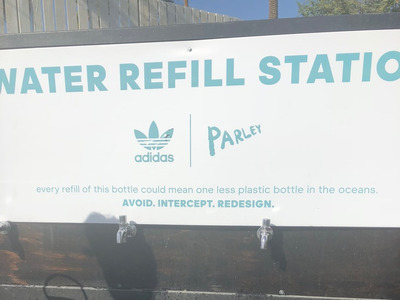 With the water filling stations pushed to the remote corners of the grounds, it essentially forced the desert festival attendees to purchase water. A plastic water bottle cost $2, and I ended up buying water every day.